He’s devoted more than a decade to investigating sightings of the elusive Blue Mountains panther. 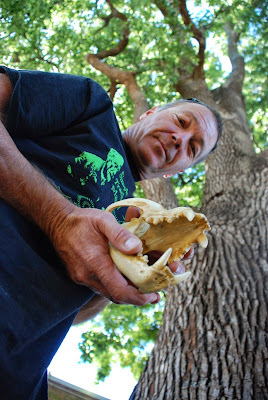 Hazelbrook’s Mike Williams and partner Rebecca Lang were pleased to hear that the black cat is back in the news with the state government investigating sightings of the panther. The Department of Primary Industries is holding an independent inquiry into reports of large free-ranging cats following discussions with Hawkesbury MP Ray Williams (no relation), the parliamentary secretary for Western Sydney. A DPI spokesman said the report would look at past evidence to “assess the likelihood of the presence of large free-ranging cats”. 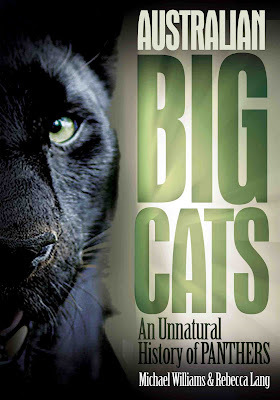 It’s due at the end of the year and Williams and Lang’s 450 page book Australian Big Cats: An Unnatural History of Panthers is in the mix as a resource for the inquiry. So do big cats really roam the bush? Mr Williams and Ms Lang believe something is definitely out there, probably an animal escaped years ago from a private zoo in the Penrith area. “I think of all the mythological supposed animals, cats can be proven to exist, it’s much more plausible that a large black cat exists or that a smaller cat could be misidentified,” Mr Williams said. The duo will hold their own 3km Blue Mountains Panther Bushwalk — In Search of Big Cats around Knapsack Creek in Glenbrook during the coming Festival of Walking. Walkers will hear about “compelling” local sightings, see casts taken of suspected big cat prints and see photos of the suspected monster moggies. “We will probably get someone at the end who complains about not seeing a black cat, but it’s a bit of fun and they will learn about local folklore,” Mr Williams, 53, said. Participants have been asked to wear sturdy shoes and bring water, a hat and “an open mind”. The event is on October 5 from 10.30am and, for insurance reasons, registration through the festival’s website is required before attending.